Harmonic Dampers, also known as a crankshaft pulley, harmonic balancer, crankshaft damper, torsional damper or vibration damper, is a potentially confusing and often misunderstood part, but is a critical component to your engines longevity and performance. It is not fitted to balance the engines rotating mass, but to control, or ‘dampen’, the engine harmonics created by torsional vibration. Torsion is the twisting on an object due to an applied torque. At first glance, a stationary steel crank may appear rigid, however when sufficient force is created, for example each time the crankshaft rotates and a cylinder fires, the crank bends, flexes and twists. Now consider, a piston comes to a dead stop twice per revolution, at the top and bottom of the cylinder, imagine how much force and impact that represents in an engine. These torsional vibrations, create resonance. Every object has a natural frequency, or resonance, an everyday example is a tuning fork. A tuning fork resonates at a natural frequency, and the sound that a particular tuning fork makes is directly related to the frequency that it is vibrating. Hitting a tuning fork harder will not change its sound, but it will increase the volume and duration of the vibration, amplifying its natural frequency. Prolonged amplification results in fatigue failure, essentially the object will vibrate itself to pieces. Similarly, a crankshaft has a frequency. The torsional vibrations, and resulting harmonics, greatly reduce the life of the crankshaft, bearings and associated componentry, or cause instantaneous failure if the crankshaft runs at or through an amplified resonance. 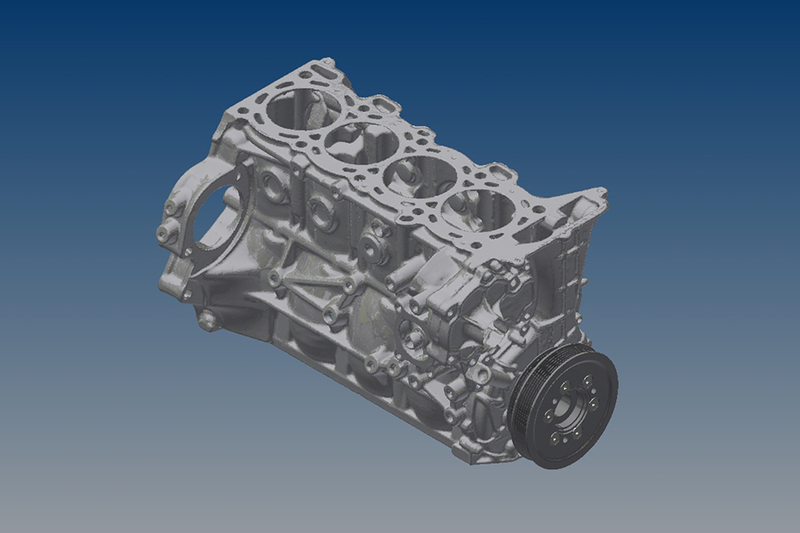 In addition, other factors contribute to engine harmonics, including frequencies created by the speed of piston movement, timing chain slack, camshaft lobes and cylinder gas pressures. A harmonic damper, is a device fitted to the nose of the crankshaft of an engine to absorb and dissipate the torsional crankshaft motion, and resulting harmonic vibrations, A correctly engineered, and fitted damper, has the ability to reduce the torsional stresses on the crank which handicap an engines horsepower potential. Whilst a harmonic damper will not add horsepower, the correct sized damper will allow the engine to run how it was designed to run, for the camshaft timing to stay stable, and the engine to live longer.